Our easy-wearing Lone Mountain Parka might have the look and feel of a soft cotton jacket, but in reality it’s a technically-tuned, insulated shelter from cold, wet conditions. The wet-weather performance starts with a 2-layer H2No® Performance Standard shell fabric made of 51% recycled nylon that’s completely waterproof, windproof and breathable. 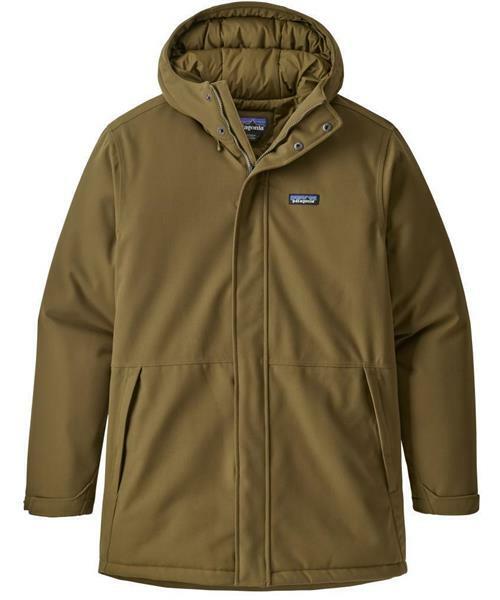 A DWR (durable water repellent) finish boosts storm protection and increases durability. Inside, a 100% recycled polyester taffeta lining glides smoothly over layers and manages moisture when your pace quickens. Insulated with highly efficient 200-g Thermogreen® polyester insulation (92% recycled), the Lone Mountain feels soft and keeps you warm. A storm flap secures with hidden snaps, covering the 2-way front zipper to keep out snow and wind; an insulated, adjustable hood protects your head. Zippered handwarmer pockets lined with soft microfleece warm your hands, and an internal zippered media-compatible pocket keeps your phone secure.